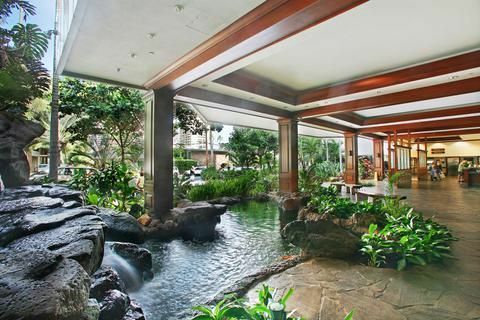 The only twin-tower resort in Waikiki, the condominium-style Aston at the Waikiki Banyan enjoys a long history as a favorite place to stay among Kamaaina and return visitors. Located one block away from the excitement of Kalakaua Avenue, it’s close to shopping and restaurants but slightly removed to the quieter peaceful side of Waikiki. With employees who’ve been with the hotel almost since it’s opening, it has that traditional Hawaii atmosphere that so many love. Please be advised that access to the swimming pool and Jacuzzis will be temporarily closed beginning Monday, May 13, 2019 for our annual maintenance work. Barring any unforeseen circumstances, the pool is scheduled to reopen on Monday, May 20th and Monday, May 27th for the Jacuzzis. Have stayed at this property several times. Did not realize how much of a difference there is between the Hotel and renting from an owner. Did not realize that the rental was through Aston Hotel, had to pay for parking, the room was not accommodating, had to change rooms. The staff did help with that. The property is nice as long as you get a room above the 6th floor where all the activity is. Will stay again as long as we rent through an owner directly. We were very disappointed in the room, probably the worst I've ever stayed in through VRBO. It was clean as far as I could tell but terribly outdated and in need of some work. The mattresses were extremely uncomfortable. I booked the room for 5 and there was a full bed, twin bed, sofa bed and a rollaway provided so there was room for everyone. The shower didn't have much water pressure and the shower head nozzle didn't stay up well. The lobby was as pictured but our room looked nothing like the pictures on this listing. We also had to pay $20 per day parking and an amenity fee which was also $20 per day so ended up spending more than the listing shows. I guess it's possible you could get lucky and get a nicer room but that wasn't the case for us. I was glad we had only booked one night! Tower 2, apartment 2311 was clean. However, it is in dire need of updating. The carpet and tile was extremely worn and the cabinets had loose drawer and door fronts. Really needs a refresh. The Banyan itself is great. The condo itself was not completely up to date however, everything in it was nice and clean. There were 2 beds in the room and a pull out sofa which was more than enough for my party and I. When the sofa sleeper was not extended you had enough space to move about versus getting just a regular hotel room. And the view from the balcony was perfect. Both Ocean and Mountain view, we couldn't have asked for more. The kitchenette was more like a full size kitchen w/all the needed appliances. The pool, jacuzzi, miniature golf, tennis/basketball court and BBQ were nice amenities as well. I'd definitely recommend this condo to visiting family and friends. Daily amenity fee of $25/night* includes: - Blu-ray/DVD movies & Playstation® 3 games - Daily newspaper - In-room coffee & tea packets replenished daily - In-room safe - In-room WiFi internet access - Local & toll-free calls - Oahu Savings Pass: Exclusive shopping, dining & attraction offers (Value $300) OTHER THINGS TO KNOW - No Smoking - Check in 3:00 pm - Check out 12:00 pm (noon) - No Pets Allowed - Activities desk - Children's playground - Heated swimming pool - Jet spas (2) - Laundry facilities - Meeting rooms ($) - Outdoor barbecues ($) - Parking ($) - Sauna - Security (24-hours) - Tennis court - Retail Shops & Restaurants - Banyan Breeze Coffee Shop - Sundry store - Snack Shop Rates subject to change. Click "Book it Now" for rates and availability. Reservations cancelled less than 5 days prior to arrival will incur a 2 night charge. Reservations cancelled 5 days or more before the arrival date will incur a $25 cancellation fee. Reservations are non-refundable after thereafter. Exceptions: For The Residences at Waikiki Beach Tower, reservations cancelled less than 10 days prior to arrival will incur a 2 night charge. Reservations cancelled 10 days or more before the arrival date will incur a $25 cancellation fee. Reservations are non-refundable after thereafter. For Tuscana Resort by Aston, and The Fountains at Champions Gate; reservations cancelled less than 5 days prior to arrival will incur a full stay charge. For reservations arriving between 26Dec-3Jan any cancellations within 30 days of arrival date will be assessed a TWO (2) night cancellation charge. Reservations cancelled 30 days or more before the arrival date will incur a $25 cancellation fee. Exceptions: For Tuscana Resort by Aston, and The Fountains at Champions Gate; reservations arriving 22Dec-3Jan cancelations within 14 days prior to arrival will incur a full stay charge. Reservations cancelled 14 days or more before the arrival date will incur a $25 cancellation fee. For Aston Kona by the Sea, reservations arriving between 26Dec-3Jan and 6Oct-15Oct cancellations within 30 days of arrival date will be assessed a TWO (2) night cancellation charge. Reservations cancelled 30 days or more before the arrival date will incur a $25 cancellation fee.